It was imported by Chinese Embassy in late 2013 and Auctioned in 2017 but the letter for registration issued on 13-11-2018 and I got it registered on my name from Islamabad on 16-11-2018. A very rarely used vehicle actual mileage about 83000 kms but due to defect in meter got changed with meter having mileage about 118000 kms so actual mileage is about 35000 kms less. Fully loaded with electric seats, rain sensor, auto beams, auto leveler, sports seats, spare wheel untouched. All required works have been done best and almost no any work required. Vehicle is 10/10 in all aspects, almost like a new vehicle and almost there be none other BMW X5 in Pakistan of this condition. By being 3000cc petrol very economical in use. Set your Alerts for BMW X5 Series in Rawalpindi and we will email you relevant ads. 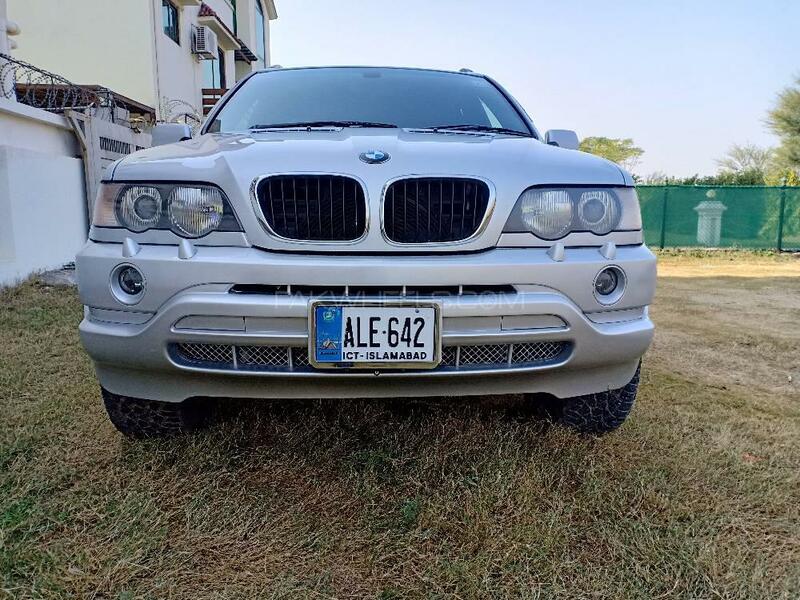 Hi, I am interested in your car "BMW X5 Series 3.0i 2003" advertised on PakWheels.com. Please let me know if it's still available. Thanks.